Which Siding is Best for Improving Energy Efficiency? 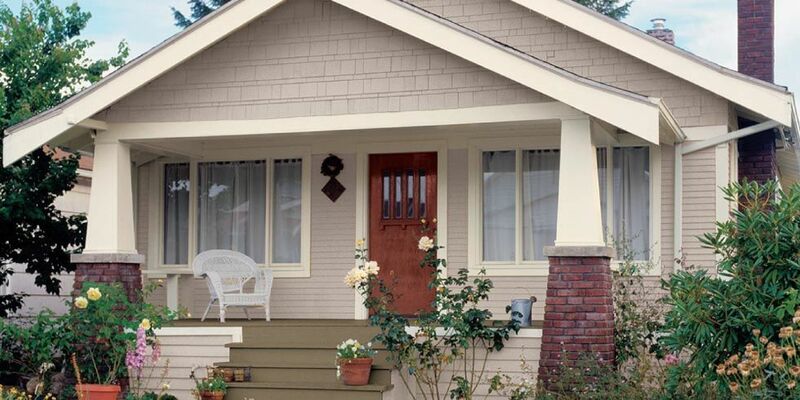 If you are looking to enhance the performance, curb appeal and value of your home, look no further than new siding. Siding is often overlooked when it comes to home improvements, but at Windows on Washington, we believe it should not be. The siding on a home does not only provide unique character and charm, but it is also there to protect the interior structure of the home from the elements. Many people would agree that the color and style of a home’s siding is a reflection of the homeowner and their pride in their home, but it also has a much more important and functional purpose. Siding is what protects the inside of a home from rain, humidity and moisture, high and low temperatures and insects and pests. For this very reason, properly maintaining the siding of your home is very important. Siding comes in a variety of materials such as: insulated vinyl siding, wood siding, cement siding, aluminum siding, brick or stone siding and more. Each siding material has its own advantages and benefits, which we will look at in further detail on this page. Now that you understand the basics of siding, let us look further into the benefits of siding, more about the different types of siding, knowing when you need to replace the siding in your home and more. 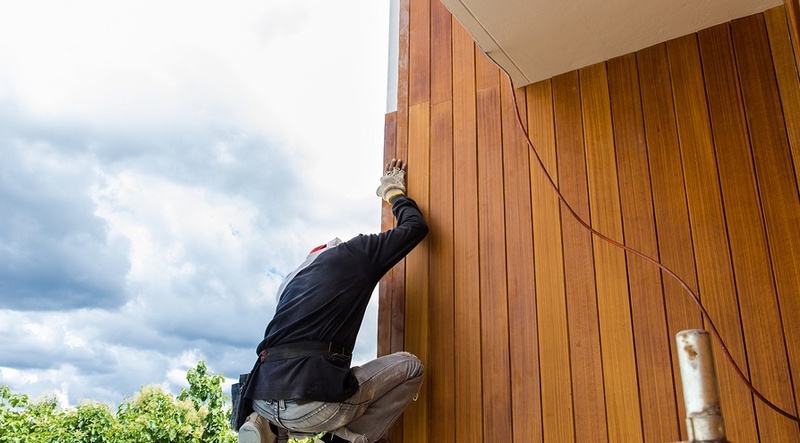 If you are looking to remodel your house, siding is perhaps one of the best ways to spend your remodeling dollars thanks to its high return on investment. The national average for a mid-range vinyl siding improvement ROI is 87%, while in some areas of the country it is as high as 105%. Return on investment aside, the exterior of your home is very important. Not only is it one of the first things people notice about your home, it is also your first line of defense against the natural elements. Below are some of the additional benefits of siding. As with anything, siding ages over time and more often than not fades to a less vibrant and appealing color than it originally was. It starts to retain an overall dirty appearance and can be hard to keep clean. This is not to say you have not looked after your home, it is merely something that naturally occurs over time. 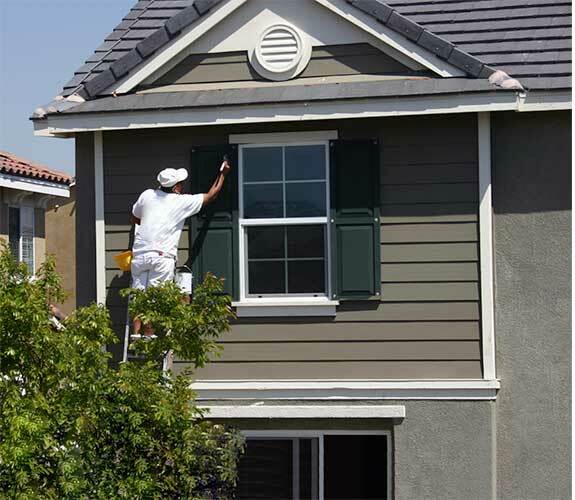 If you want to freshen up the exterior look of your house, siding is a great place to start. When you replace your siding, you can change the color and add some architectural details to your home, making it look as good as new. Old siding often allows rainwater to leak around the windows of your home, which has the potential to cause major structural damage. Sometimes, this type of damage is easily noticeable. Yet unfortunately, sometimes the damage is not so obvious and may simply show as a crack in the drywall, or sometimes it is completely unnoticeable without removing the siding or drywall to find the damage. When you replace the siding of your home, it is often possible to repair any structural damage from the outside without causing any problems to the interior of your home. Repairing any structural damage early on will help make sure you do not encounter even more costly repairs down the road. When replacing your home’s siding, you can also choose to add insulation to the exterior walls. It is often the case that older homes do not have any wall insulation at all. 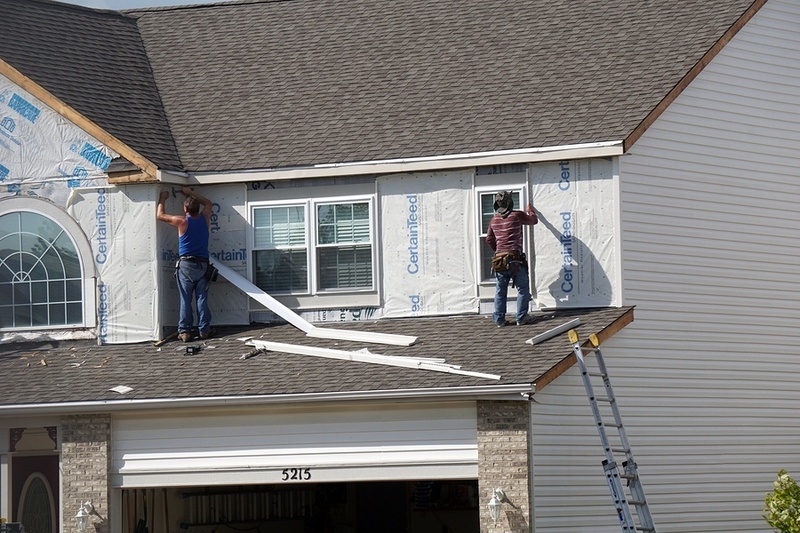 Therefore, when the exterior siding is being replaced, it is an optimal time to consider adding insulation behind the façade when the installation crew has easy access to the area. And, for homes that already have insulation but would like to boost it, adding rigid foam insulation is a great option for improving the energy efficiency of your home. Siding comes in a variety of different colors and styles, so it can be difficult to know which is the right type for your home. Below are the most common types of siding used in residential homes, as well as their advantages and disadvantages. According to the U.S. Census Bureau, vinyl siding is the most popular siding choice in the United States. This is because vinyl siding is durable, comes in a variety of colors and it is relatively low-cost. There are also a huge variety of profiles of vinyl, including: horizontal or vertical panels, dutch lap, shakes, shingles, beaded, and fish scales or scallops. Fiber cement siding is another popular choice. It is a mixture of wood, sand and cement. It is created to look and feel like natural wood siding, but with more benefits. Brick siding is a great choice as it is deemed to last almost eternally. There are many houses and buildings that are over 100 years old built with brick siding, which are still in great condition. Wood siding offers a timeless and very natural look. There is a wide variety of wood species to choose from, such as: pine, fir, cedar, and redwood. While different types of siding will last for different amounts of time, there are some general signs you should look out for to tell if your siding needs to be replaced. Not replacing your siding as soon as you notice any of the below signs often leads to more extensive (and more expensive) damages down the line. If your siding is cracked, has a chalky texture or you notice any chips or holes in it, it is likely your siding needs to be replaced. In fact, these exterior problems usually indicate a bigger problem behind the siding panels, like wood rot or mold. 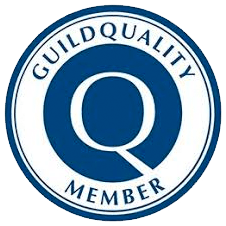 It is wise to check with a professional to determine whether the siding needs to simply be repaired, or needs to be completely replaced. If you notice your siding bulging, buckling or warping, this is generally a sign your siding needs to be replaced. This kind of warping is usually the result of moisture getting under the siding panels, causing the board underneath to rot and push the siding outward. This means the siding is no longer providing a protective barrier for your home. Any fungus and/or mold growing on your siding is a telltale sign that you have a moisture issue and you need to replace your siding. Furthermore, many homes that exhibit fungus or mold on the outside similarly have these problems on the material behind the siding. If the wallpaper inside your home is peeling or sagging, this may be due to water damage on the back side of the wall closest to the siding. Moisture may come from old, decayed or improperly installed siding, and should really be replaced before any further and more extensive damage happens. 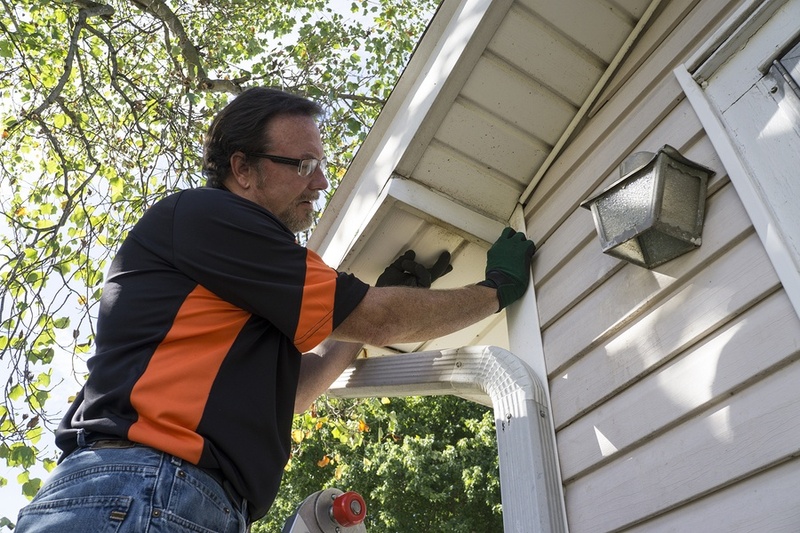 If you notice any of these problems, it is generally a sign that your siding is no longer serving its purpose and needs to be repaired or replaced to reduce any further damage to your home. Most homeowners will know the cost of keeping your home cool in summer and warm in winter can be high, which is why making a home as energy efficient as possible is a goal for many people. In terms of siding, different types of siding materials offer different levels of energy efficiency. Below, we discuss the options available and have also provided the average R-Value for each type of siding (note: when it comes to R-Values, the higher it is, the more energy efficient it is). Wood siding is one of the most popular siding choices when it comes to energy efficiency. Wood siding has great curb appeal, excellent protection from the elements and is highly durable and weather resistant. It is also eco-friendly thanks to its biodegradable features, and requires minimal processing and treatment. Furthermore, it is an excellent insulator as it prevents the loss of warm air during winter and keeps in the cool air during summer. It also protects the structure of your home from excessive heat, water and dryness. Wood shingle siding has an R-Value of 0.87, whilst beveled wood siding has an R-Value of 0.81. Fiber cement is comprised of wood fibers that have been mixed with sand and cement. This type siding is much thicker than other siding and can endure extreme weather such as strong wind and hail. For homeowners that want something durable and long-lasting, fiber cement has a good reputation for its quality. Fiber cement siding has an R-Value of 0.37. Vinyl siding is often one of the most popular siding choices. It is known for its ability to withstand the harsh elements, and it can mimic the look of many types of cladding, including stone, wood and slate, for a much cheaper price. Vinyl siding is also a great choice if you want to increase the energy efficiency of your home as it can be paired with insulated siding, which adds another layer of insulation to your home. Vinyl siding alone has an R-Value of 0.61. If you want to really increase your energy savings, you should consider insulated siding. Essentially, insulation creates a type of ‘blanket’ over your home. This means the more insulation you have, the more ‘blanket layers’ you are adding. This helps further trap the air inside your home and reduces the amount of air that enters your home. Overall, this makes your home much more energy efficient and can make a significant difference to your utility bills – for both heating in the winter and running the AC in the summer. If you live in Virginia and are looking to replace the siding of your home, it is important you choose the right material for the area you live in as siding is your home’s first line of defense against the elements. Fortunately, the climate of Virginia is relatively mild compared to other areas of the United States, yet this does not mean it is not susceptible to harsh weather conditions every once in a while. Therefore, it is important to make sure you find the right siding material for your home in Virginia. Versatility: Fiber cement siding comes in a variety of textures. You can also carry out a color matching test to ensure it suits the overall aesthetic of your home’s exterior. Durability: Fiber cement siding is extremely durable, has a class 1A fire rating and the color does not easily warp or fade. It is also highly weather resistant. 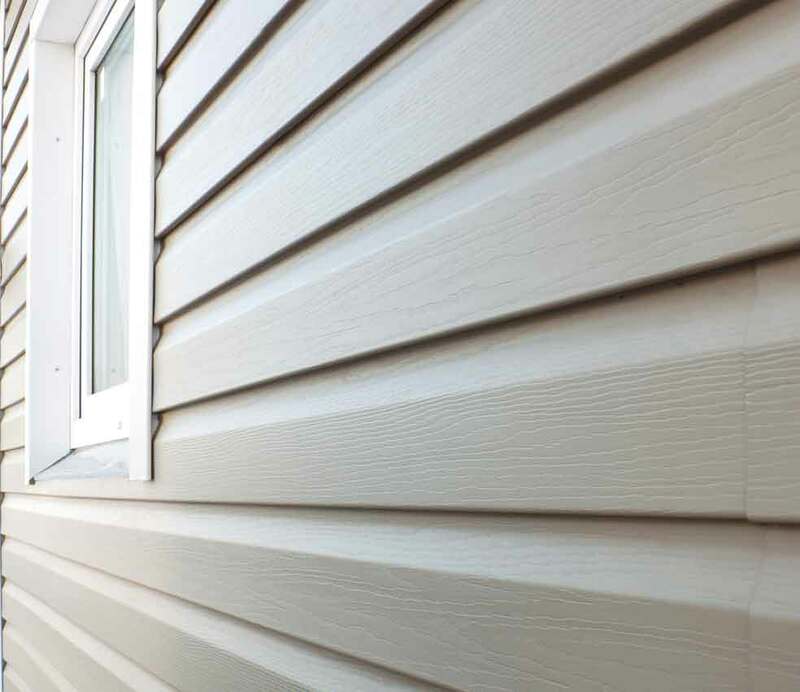 Installation: Installing fiber cement siding is generally less expensive than installing other materials such as natural stone, cedar and wood siding. Maintenance: Thanks to its durability, fiber cement siding does not cost much to maintain. It can last for longer than fifty years if properly cared for. According to a Remodeling Cost vs Value Report, fiber cement siding offers an 89% return on investment. If you live in Virginia, it is worth considering fiber cement siding for your home based on this information alone. The Best Choice for Virginia Homeowners? While fiber cement siding is a recommended material for many types of climates, it is especially ideal for hot and humid conditions, which Virginia is often vulnerable to. Furthermore, it is a great option for wet areas as well, due to the fact it does not rot. Fiber cement siding does not warp with temperature changes or shake in strong winds. It is also termite-resistant due to its high cement and sand content. Based on all of this, it is an ideal siding for homes in Virginia. Adding new siding to your Maryland home is an excellent way to improve the look of your home and reduce time-consuming maintenance that old and worn-out siding often requires. For homeowners in Maryland, vinyl siding can do more than just improve the curb appeal of your home, it can also protect your home against inclement weather such as the heavy winds and rain that often occur in the Maryland region. Both vinyl siding and reinforced vinyl siding are excellent choices for Maryland homes. This is because vinyl siding panels do not split, peel or rot, which prevents the inside of your home from being exposed to moisture that can cause mold or fungus to grow and damage the structure of your home. 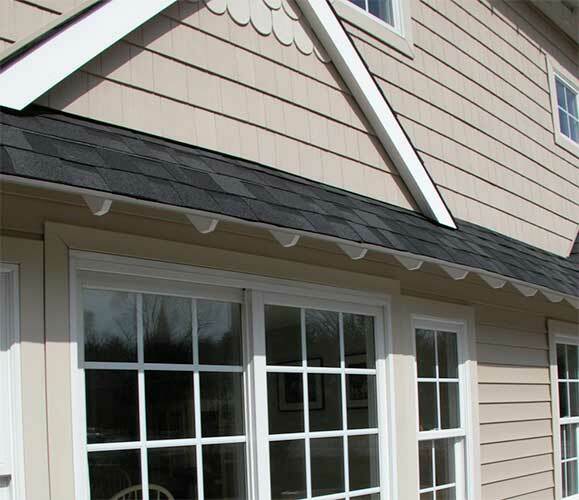 Vinyl siding is extremely durable, rigid and wind resistant. It also comes in a variety of colors and does not chip or fade like other types of siding. Furthermore, reinforced vinyl siding offers the added protection of great insulation, which can reduce your utility bills and keep your home warm in winter and cool in summer. Reinforced vinyl siding is also known for its ability to make your home quieter by reducing noise from outside. Vinyl siding offers a good return of investment, averaging around a 77% ROI, making it a great siding option for Maryland homeowners. The Best Choice for Maryland Homeowners? Vinyl siding is one of the best siding choices for Maryland homeowners for many reasons, but perhaps the most important reason is due to the fact it can withstand extreme weather, which the Maryland region is susceptible to throughout the year. Combine this with its great ROI, durability and potential for added insulation during installation, vinyl siding is one of the best siding choices for homes in Maryland. Choosing the right contractor for replacing or repairing your siding can be the difference between an incredible home improvement experience or a terrible one. Below are some of our best tips to help you find the best contractor for the job, so you can feel confident you and your home are in safe, reliable and professional hands. There are a few ways you can check whether or not a business is legitimate, but the easiest way is by going online to the Better Business Bureau (BBB). Here you can verify the contractor or business’ legitimacy, and you can also see if there are any complaints against that business. Reading the online reviews about a contractor or company is one of the best ways to learn more about the contractor you are considering doing business with. It is a good idea to look at a variety of websites and reviews to get an accurate representation of the company. 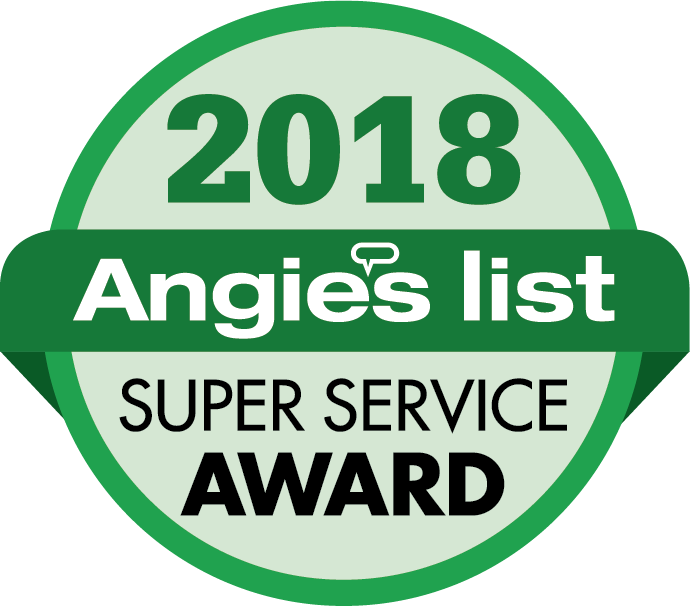 Angie’s List, Yelp, Houzz, Home Advisor or Customer Lobby are credible websites where you can read reviews about many home improvement contractors and businesses in the Maryland and Virginia area. Asking for references is essential when finding the best contractor for the job. Honorable and honest contractors will be more than happy to supply you with a list of names and numbers of people they have done work for in the past, and who will be able to provide trustworthy references. When searching for the right contractor, you may want to consider gathering multiple estimates. When comparing estimates, it is important you are comparing apples to apples. Some companies will only give estimates for just the material, and not the installation cost. It is important you make sure all costs are included in the estimate to make sure there are no additional costs or surprises down the road. Reputable and honest contractors will offer you a cooling off period where you can change your mind without worrying about losing any money. This is required by state law in both VA and MD. If the contractor does not offer a right of rescission, chances are they are not being open and honest. Be wary of a contractor or company that tells you they are offering a one-time deal that is only valid for a certain period of time. A good contractor will never pressure you into anything. While it is true that many companies offer a discount if you sign the contract the day the sales presentation is given, this does not necessarily mean they are the right choice. The best companies will never pressure you for a sale in one day. For example, at Windows on Washington, our estimates are good for 30 days because we know that new siding is a lifetime purchase and that you need to make sure it is the right choice for you and your home.